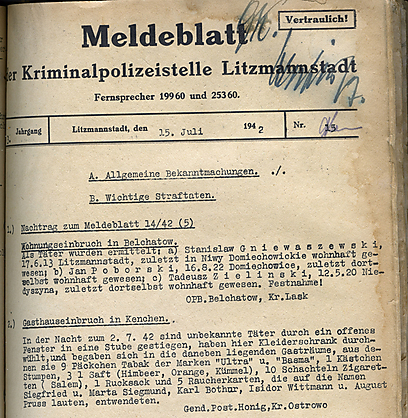 Nazi officers kept a record of day-to-day life in the Lodz ghetto. Another entry described the brutal harassment of a family that tried to hide a Jewish boy in their home: "The boy Haimovich Hanek had been staying at Foulkes Deutsche (a Polish of German descent). Following a quarrel between neighbors, we received information that the Yaeger family had taken in a Jewish boy  his family gave them a great amount of money to take care of him. The Yaeger couple was caught after a manhunt, and the boy claimed he was their son. His name was revealed later on. In the morning, a unit will head out to confiscate the property in their home." Rabbi Dr. Avraham Krieger, director of the Shem Olam institute, said: "The diary, which was revealed for the first time, displays another characteristic of the extent of German evil. 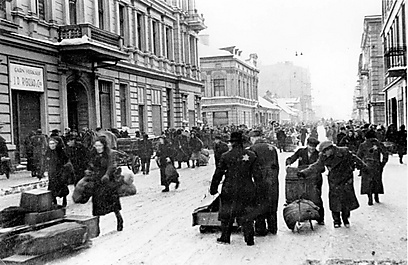 The Ghetto officers used any possible means to create a regime of terror and fear among the Jews of the ghetto, and used the cruelest, most despicable tools to serve the Nazi destruction machine. This diary reveals precisely what the Germans wanted with all their might to hide  but they didn't manage to do so.